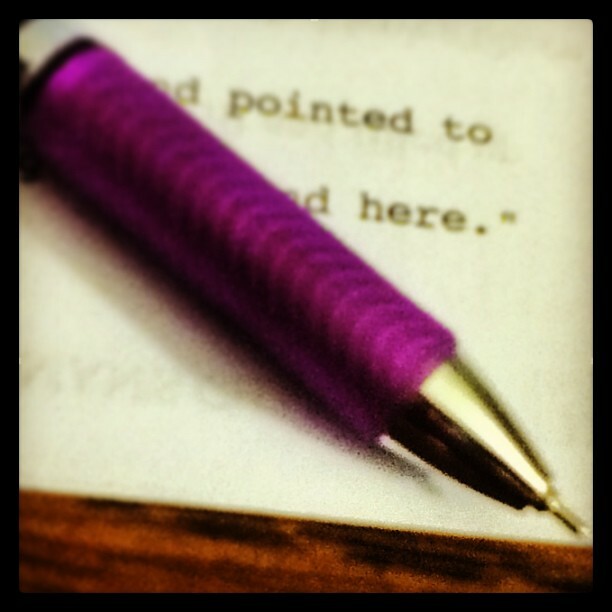 Writing means edits. Editing is writing. Slash those words. Kill your darlings*. Cut and add and fix and all that jazz. I don’t mind editing. Actually, I like reading the ideas my editor has for my novels**. When something structural needs to be fixed, I’ll do it. Go through and change up verb tense? I’m on it. Add a little to intensify a scene. Awesome. They can be sprinkled throughout a manuscript, hiding among sentences. They’re the little comma that snuck in somehow. Or the the the repeated word. “She took a step toward the steps”. UGH! Nothing will bring the lofty mind of a writer back to earth like a manuscript, rife with typos. When I need a little humbling, I think of all the tipos tIepoes typos that I consistently need to weed. *”Kill your darlings” is an expression in the publishing biz. It basically means, no matter how much you love that scene/character/word, if it doesn’t fit, cut it. Happy. Huh? **If you ever happen to need an editor for hire, Dina Sleiman is a great one. Her rates are miles below many others, but she is a quality, knowledgable editor. Click HERE for more information. What about you? What keeps you humble? Here’s a short, humorous, all-too-true post about typos. I just posted a graphic on Facebook and Pinterest with a word missing. Fortunately a loyal friend send me a personal message to alert me.